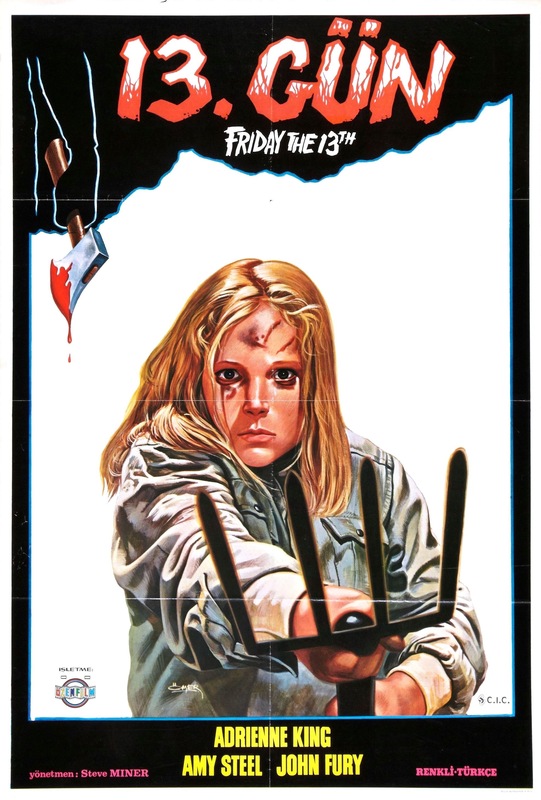 Released in 1981 Friday the 13th Part II is cited by many fans of the franchise as being overall better than the original and while I do enjoy part II I don’t think it’s on the same level as the original movie. I think the fact the audience is so used to Jason and the fact he isn’t the killer in the original is why some people rate this higher than the first part. 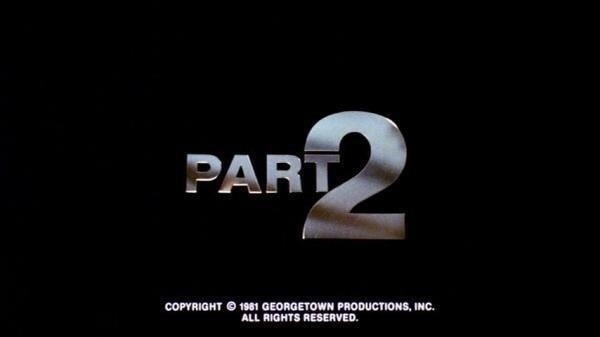 With that said though Friday the 13th Part II is a very solid sequel and even if I don’t feel it’s as good as the original it does stand proud with it. 1981 was the Golden year for the slasher flick with such releases as Halloween II, My Bloody Valentine, The Prowler and The Burning are among the few of a year that seemed to be dominated by slasher flicks and while I wouldn’t rate Friday the 13th Part II as the best slasher of the year it is every bit as good as the films I mentioned and would most likely be in my top 3 slasher flicks of 1981. 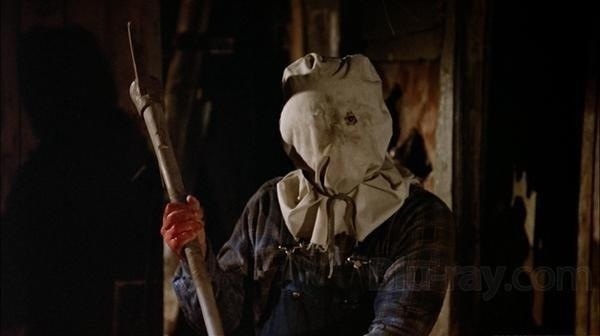 The one thing forgotten by a lot of people is the early Friday the 13th movies weren’t just about gore and violence despite the reputation the franchise has. The reputation started more with Part VI. 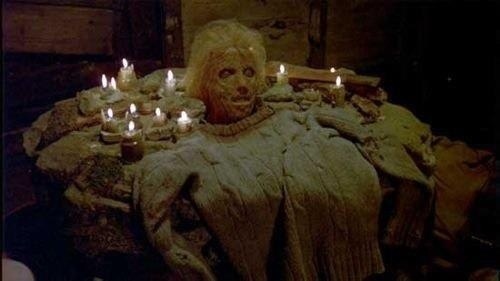 The early Friday the 13th movies did try and up the ante on make-up F/X, but the first 4 were still very much made to be scary and suspenseful movies as well and even though I did enjoy the series as it went on the first 4 I think are highly underrated as horror flicks. 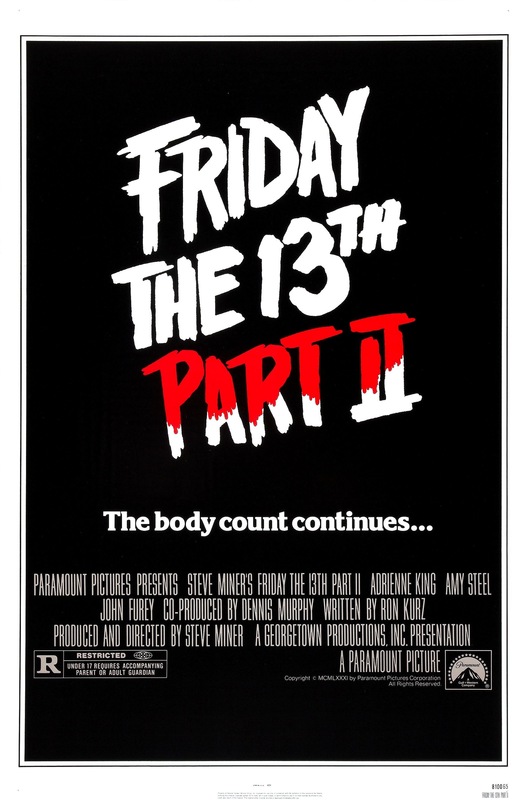 Friday the 13th Part II isn’t exactly this classic chiller of the horror genre, but it is a solid horror movie. After the unexpected success of Friday the 13th the sequel was pretty much rushed into production and opened just under a year after the original. This time around Jason Voorhees makes his debut as the killer, which really doesn’t make any sense. If he did drown as a child how did he come back? And if Jason didn’t drown as a child than where as he been all this time? I suppose it really doesn’t matter and since this movie turned a profit and it didn’t matter to fans either. 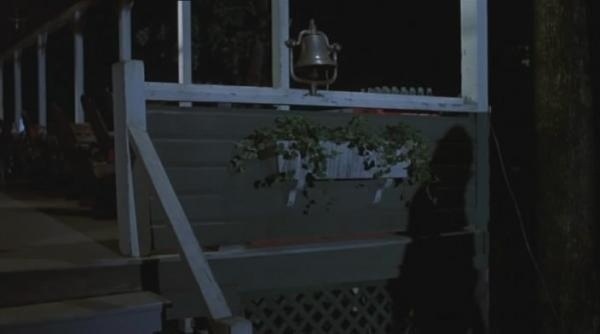 In many ways Friday the 13th Part II is almost a remake of the first film. The basic structure is the same, the characters are a lot like those in the original film; Ted is sort of a take on Ned, and Jeff and Sandra remind me a bit of Jack and Marcie; even the final chase scene is shot for shot the same only with new characters. The screenplay by Ron Kurz is fairly good when compared to other slasher flicks, but the screenplay feels like nothing more than a rehash of the original; there are a few more characters this time around, but most are pretty much clones of the characters from the first. The characters are sort of the faceless victims we usually seen in the Friday the 13th flicks, they lack their own identity for the most part unlike like those in the first film, but with that said the characters are entertaining and likable and Ginny (Steel) is one of the best heroines of the series and one of the best developed as well and Paul (Furey) is one of the best characters of the series. Ron Kurz never really adds anything new to the series and seems fine on rehashing the original, but like I stated the screenplay is still stronger than most of these kinda flicks even if it doesn’t add much. Steve Miner made his directorial debut with Friday the 13th Part 2 and he got his start working with Sean Cunningham on quite a few films as he worked his way up the ladder. Some people have called Steve Miner a master of the horror genre and while he’s made some good films and terrible films the problem I have is he seems to follow the formula of other filmmakers. Even later in his career with movies like H20, which came out when the slasher flick was marketable again all Miner did was follow what Craven did with Scream and what Carpenter did with the original Halloween. 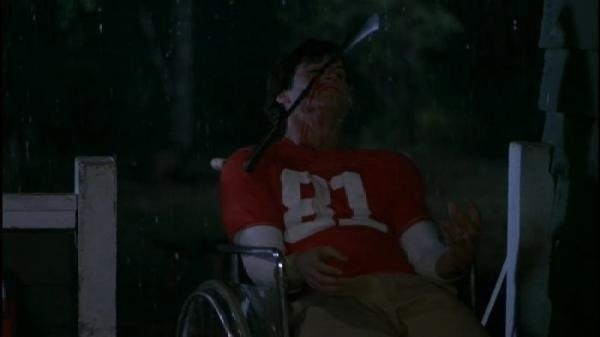 With Friday the 13th Part 2 he pretty much follows what Sean Cunningham did with the original at every turn. In many ways Friday the 13th Part 2 is a bigger budget version of the original and seeing as this was Steve Miner’s first film I guess it can be forgiven, but he never really injects any of his own style into the movie. Despite the lack of originality, Miner is able to build some decent suspense and tension, but seeing as many of the scenes are copies of the original it can slightly hinder the suspense at times, but Miner is able to craft some solid scenes of suspense and even if its a total clone of the original, Steve Miner does deliver a fun and well paced movie with some nice moments of suspense. Jason Voorhees was played by Steve Dash despite the credit for Warrington Gillette; Gillette played Jason for one scene and that was the unmasking scene. In many ways Jason was a lot like Michael Myers as he’s always somewhere lurking around and he’s a bit more methodical, but it still works here and in my opinion Jason was quite creepy here something that would later be lost as the series went on. As I mentioned Ginny being one of the best final girls and many fans of the series give her the title of the best final girl of the series and its quite hard to make an argument against that. Overall Friday the 13th Part II is a fairly solid sequel and while it’s nothing more than a rehash of the original with new characters it actually works well and is at times fairly creepy. A lot of fans cite this one as better than the original and I can’t help but feel that is due to Jason since with all the sequels it does seem weird without Jason in the original. But regardless, Friday the 13th Part II is a fairly strong slasher flick and comes highly recommended to fans of these kinda movies.